If you have any questions about the hull 211042 information page below please contact us. 66m motor yacht Hull 211-042 is a stunning vessel, second largest built by the world-renowned US shipyard Delta Marine with a launch in 2013. Elegant and classic Hull 211-042 superyacht is designed by Delta Design with a beautiful interior by the well-known Diane Johnson Design. 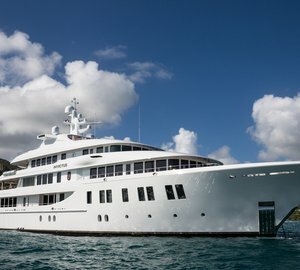 The four-deck luxury yacht Hull 211-042 sleeps 14 guests in 7 highly-comfortable cabins, including the master suite situated on the upper deck and six double cabins, which can be found on the main deck. The interior features expansive windows, grand foyers and stairwells, a gymnasium as well as a theatre. The exterior offers a fold down beach cabana at the stern and a pool on the sundeck. Built with an ice strengthened steel hull and a composite superstructure, Delta super yacht Hull 211-042 is run by twin Caterpillar 3516 engines, reaching a maximum speed of 16.8 knots and a range of 5,000 nautical miles at 12 knots. Delta super yacht Hull 211-042 can accommodate 14 guests in 7 stunning cabins, including the master suite situated on the upper deck and six double cabins, which can be found on the main deck. We do have available further amenity, owner and price information for the 66m yacht hull 211042, so please enquire for more information. 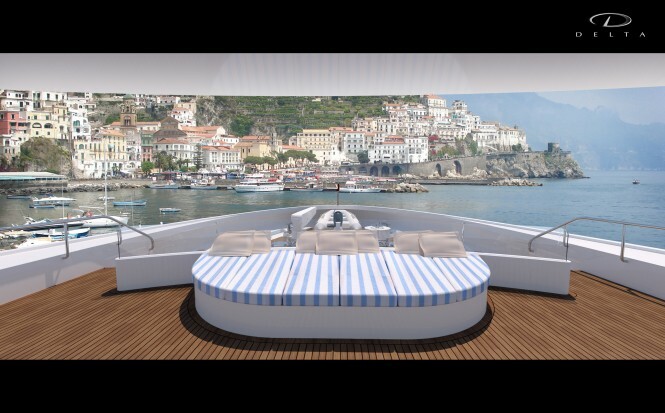 The luxury yacht hull 211042 displayed on this page is merely informational and she is not necessarily available for yacht charter or for sale, nor is she represented or marketed in anyway by CharterWorld. This web page and the superyacht information contained herein is not contractual. All yacht specifications and informations are displayed in good faith but CharterWorld does not warrant or assume any legal liability or responsibility for the current accuracy, completeness, validity, or usefulness of any superyacht information and/or images displayed. All boat information is subject to change without prior notice and may not be current.